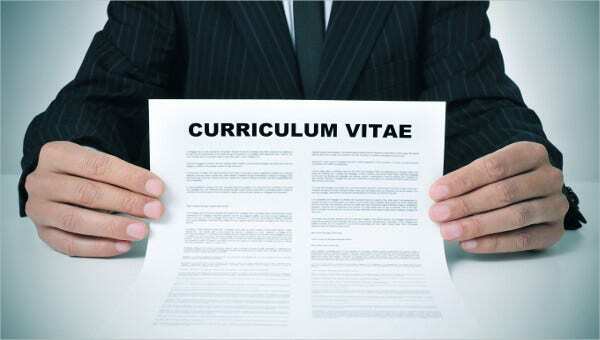 A curriculum vitae is a type of written overview of an individual’s past experiences and other important and relevant skills and qualifications needed for a job application. Usually, a CV is the first item that every potential hiring managers encounter. This is used in determining the candidates that can proceed to the next step—the interview. If you are drafting a curriculum vitae and are not sure about what items you need to include, you can always download a CV template. In addition, as you read further, you will be able to find out how to write an effective CV by following a few easy steps and knowing the exact details you need. Cite references. Choose these carefully as they need to have the ability to vouch for you and your qualifications. Personal details, such as your complete name, contact number, and working email address, need to be included. Make use of bullet points when highlighting key details. You may modify the content that focuses on expertise, skills, and knowledge that match the job. These are important things to remember when making an effective CV. For a faster and more convenient way, we have curriculum vitae templates that you can make use of. These are downloadable and easy to edit templates. Looking for a job is a competitive process. So in order to make your CV noticed and stand out from other job applicants, the following tips are a huge help. Check them out. You can make use of a combination CV. This type of CV combines the strengths of the chronological CV and the functional CV. A combination CV emphasizes your work experience as well as the skills necessary for the job you are applying for. Make sure to aim your CV to your audience. Though a CV is not a resume, this should be targeted and organized in order to represent you in the best light possible. The very first step here is to study the opening description. Second, you need to figure out who will be making the last and final judgment and learn as much information of each of these individuals as possible. This means that you need to market yourself depending on your audience. Make sure to ask questions regarding the company culture as well. Organize the CV details as well as your facts. This is in relation to what you’ve learned. Arranging everything into an understandable sequence will help your audience comprehend and know about you and your interest in the job. If you want to have a concrete view of a CV, our curriculum vitae examples of huge help.